PLEASE NOTE THAT OUR LOCATION HAS CHANGED!!!!! 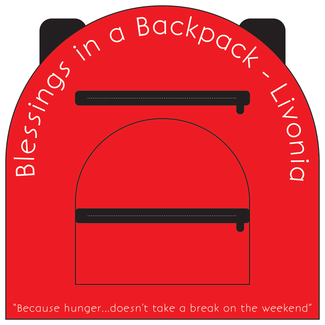 Please come and help us address the problem of weekend hunger in Livonia school children. Bags are packed TUESDAY evenings, at 7:00 p.m., at Marshall Elementary, 33901 Curtis Rd., Livonia, 48152. Please park on the north side of the building and enter through the side door on the western side of the building. We ask that groups sign up during the weeks with a "Group" label, and leave the other weeks available for individuals who wish to help out. This allows us to retain a dedicated, fantastic group of individuals, while still working with some amazing groups! If you are interested in signing up for a group spot, please email Lauren Peters in order to do so ([email protected]). At this point, we are scheduling a couple of months out, and will add additional dates later. Although, we welcome children at our packings, we do ask that guardians use their best judgment, when determining whether, or not, to bring them along. The process involves paying close attention to items packed and the ability to follow multi-step instructions. Please note that the potential always exists for media personnel to photograph or record our packings. It is not a frequent occurrence, but any volunteers who remain onsite during these occurrences should only do so if they are, in fact, consenting to being photographed or recorded. Volunteers are always free to leave if they would prefer to refrain from being photographed or recorded. Group-Please provide the name of your group and an approximate number of people who will be attending. My 9 year old daughter and I will be there.